The Hawaiians call me hala-kahiki, meaning hala from a foreign land….. who am i? 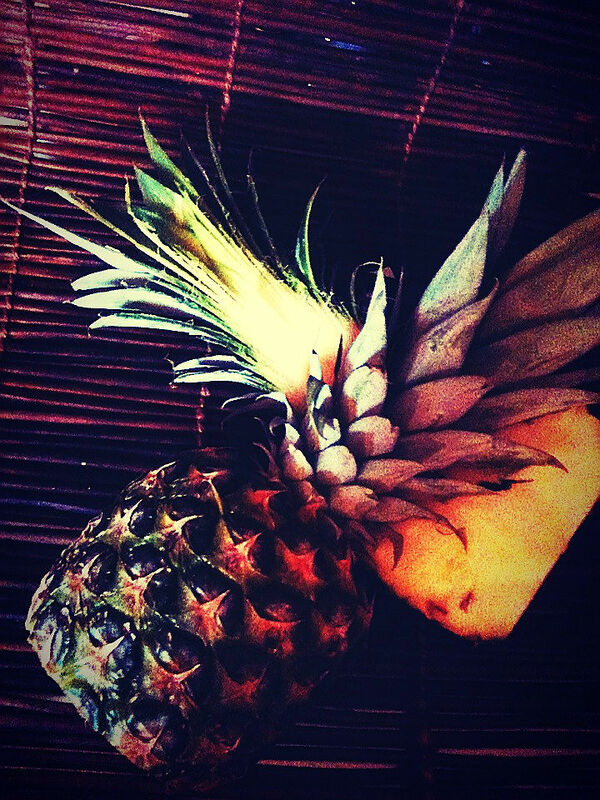 The mighty pineapple is the topic for this months Mixology Monday hosted by Thiago of the BartendingNotes blog. I haven`t participated in the MxMo in a very long time and so it´s long due…but who can resist such a topic? i love pineapples! Here´s what was said in the MxMo announcement: Let’s bring the king of fruits back! 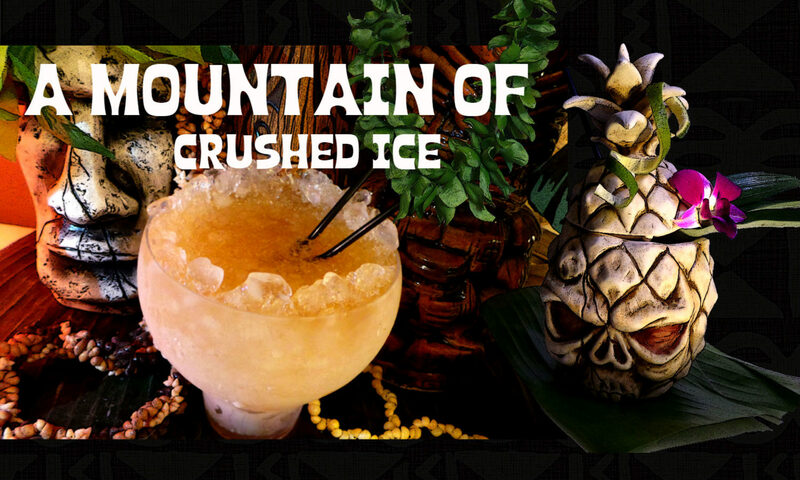 After being canned, mixed with all sorts of sugary liquids and blended into… some 80s dreadful cocktails, the pineapple needs more respect! Once a symbol of hospitality, the King of Fruits might be know misunderstood. One of the greatest non-citrus souring agents, used for crazy garnish ideas, infusions, old gum syrup flavoring, the pineapple is a fruit to be reckoned. 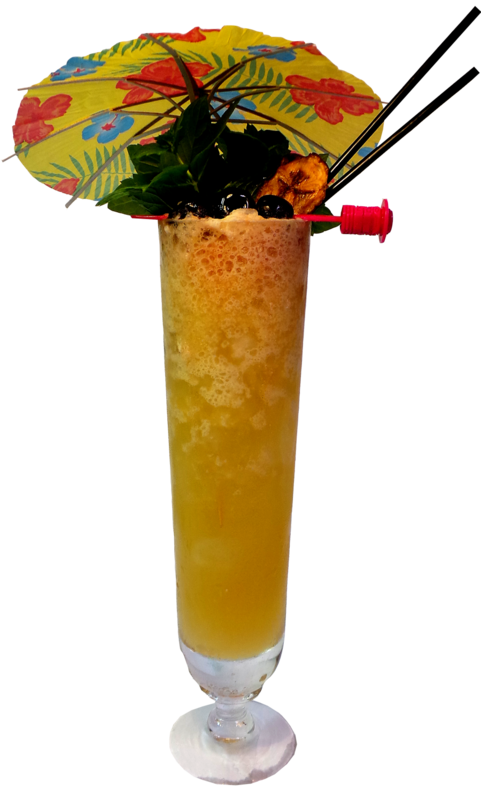 Be in a tiki cocktail, an old school classic like the Algonquin, a crazy flavor pairing or just mixed in a delicious Verdita, get creative and make a cocktail using any part of this delicious, juicy fruit or share you favorite pineapple cocktail with us! The pineapple is called the “King of Fruits” for a reason – there is NO other fruit that has become so famous as the pineapple, not even banana! there is even pineapple houses built! And it´s so incredibly versatile, you can do so much with it, in drinks and food in a million ways….use as serving bowl, lamp, it´s sung about, painted, photographed…and no wonder, the fruit is beautiful! 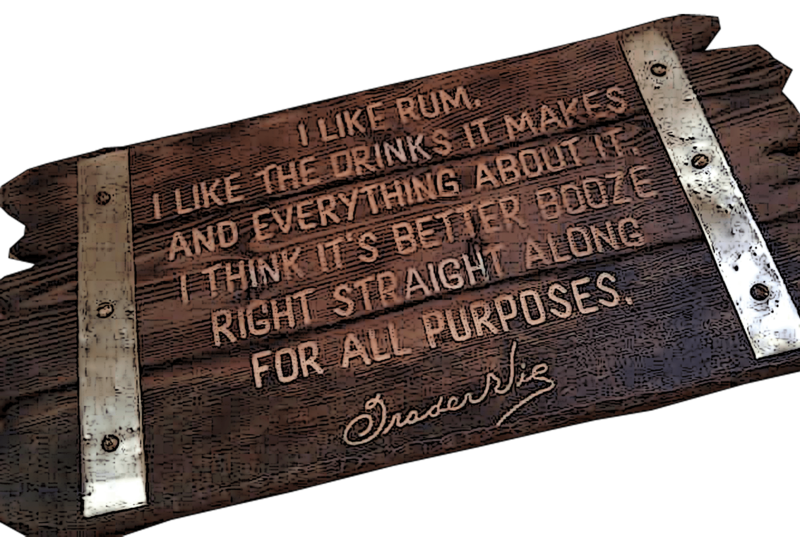 and a fabulous cocktail ingredient, and that`s where i use it the most and i use it extensively. Garnish with two pineapple leaves and a cocktail cherry. 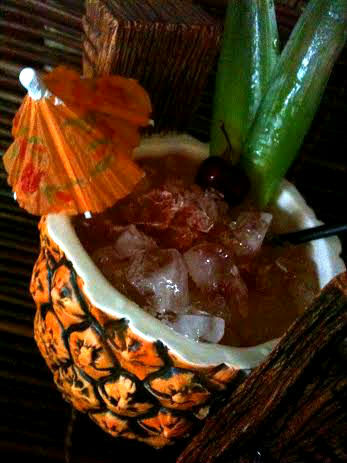 A robust and typical tiki swizzle! 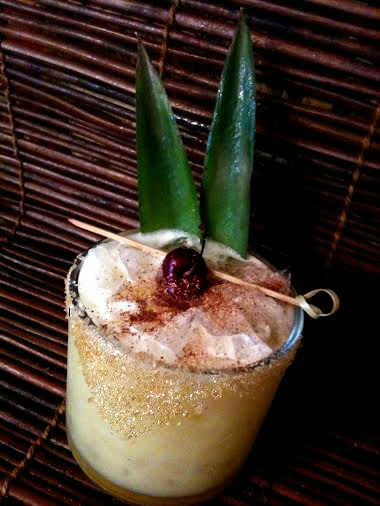 Shake hard to emulsify the egg white, preferably dry shake first, then strain into a glass filled with cracked ice and partly rimmed, (with brown sugar) and top with grated nutmeg and cinnamon powder and then garnish with a pineapple leaf and speared cocktail cherry. 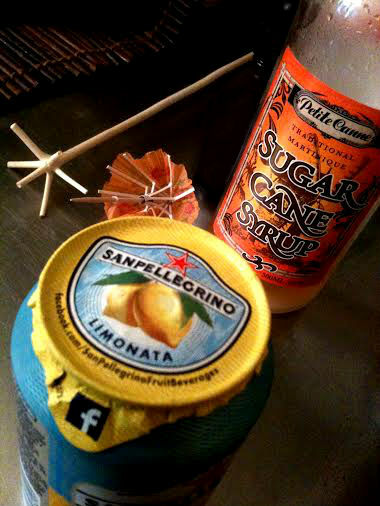 And here´s a bonus – the rum sauce for pineapple skewers – as simple as it´s delicious, just rum, honey and cinnamon! Last year at the Tales i went to a pineapple seminar and learnt a lot about this fruit and at the Angostura Rum pool party they served this rum sauce in pineapples to dip pineapple skewers in, a recipe i took with me, very tasty. Fill a hollowed out pineapple fruit with rum, dissolved honey and cinnamon sticks. I first placed in a pan 4 oz aged rum (or rums) of choice, 2 roughly crushed Mexican cinnamon sticks (canela) and 2 tsp honey and slowly heated it up (carefully) just to dissolve the honey and let the cinnamon sticks start giving off their flavor. Then leave to cool and sit for 15-30 min to let the flavors intensify. 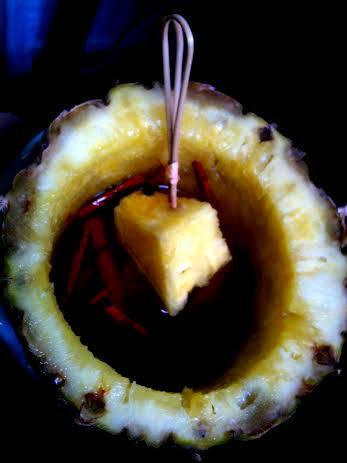 Then pour in the pineapple and dip pineapple skewers in the rum sauce, it´s delicious! and a perfect party or movie snack. Thank you Jack for your kind words! 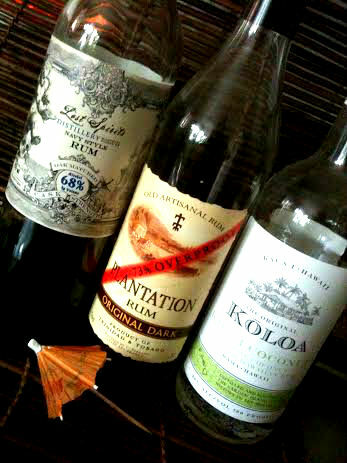 it´s very nice to see that there are people out there appreciating my boozy ramblings…:-) i appreciate your blog too! and yea…the pineapple is awesome! I understand why. The pineapple is my favorite fruit, so much so I no longer buy the juice canned (nor the fruit), but make the juice myself. Also, you are my favorite website, and probably have been for at least 8 years. I come to you to learn and to be dazzled. You are fantastic at what you do, and I respect every word, recipe, garnish and picture. Familiar with the saying, “You’re a peach?” You are the fruit of hospitality, and I strive towards your example. For you, I’m altering that to: You’re a pineapple. Thank you for all your hard work. I love Koloa Coconut. I love Plantation Overproof. These recipes, including the rum sauce, I am most certainly going to try. They sound delicious. I’m also going to see if I can get a couple of those nifty pineapple mugs. They’re so cool!